What Are the Best Link Building Strategies in 2018 to Get Higher Ranking? Link buildings or backlinks are essential to your website success; quality SEO backlinks is extremely useful for the promotion of any website. Without link building it becomes difficult or we can say that impossible to get high traffic on any website. Every businessman takes the help of link building services or SEO to improve the position or reputation of their brand. There are many different ways used in link building to improve the traffic on any website. This is a long-term process and needs much more efforts to get the desired result. Therefore, one needs to do this task on daily basis. Make sure that you will use all the methods to build strong quality links. Bookmarking is acting as ads in which a brief description and link are provided to visitors so that they will get an idea about your products. Bookmarking description must be good enough to attract new visitors. Through this users get the opportunity to leave a comment or to ask any query related to your product. There are a number of best-bookmarking sites like Diigo, Delicious, Reddit, Scoop, Slashdot and many more. You can easily find a list of all bookmarking’s sites form the internet. Image submission is a great formula to increase the traffic to any website. It may help in increasing your traffic by 20 to 30%. In this, an image of your brand with a brief description is posted on different popular sites. Pinterest, Flicker, Photobucket, Fotolog etc. are the effective sites for image submission. Create an effective blog and publish content on daily basis. Through your blog post, you can provide full information about your brand to your customers. Your visitors can connect with you via your blog post and easily get an update about your new brands. Guest blogging is a very popular strategy which may help in increasing the organic traffic on any website. By submitting a guest post on some popular sites you can easily get more clickable links on your website. There are a number of sites available on net which offers free services to bloggers and allow them to submit a guest post on their sites. Make an attractive and informative pdf with your content. Submit your pdf on some sites, when users’ clicks on the links to download that pdf’s then automatically the number of users will increase on your site. Infographic submission is a great way of showcasing your data in a graphical representation as well as attracting visitors to your website and there is more chance of generating leads as well. 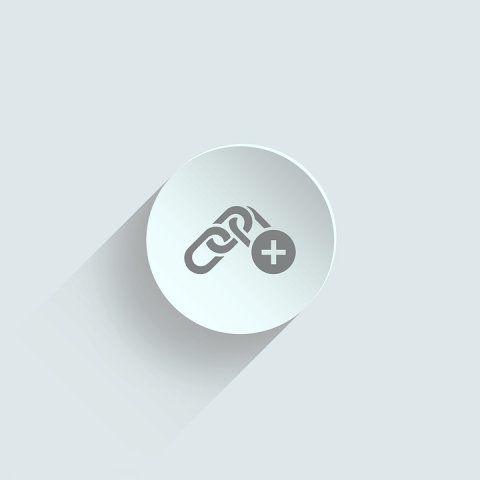 These are some effective link building strategies which are helpful for the beginners. Anyone can easily learn all these techniques through online tutorials. Learn all the effective strategies and other advanced techniques for increasing the ranking of a website and take to step to make your career in digital marketing. It is easy to find digital marketing jobs opportunities through online job portals. Do work hard and build your future bright in this field. Edwin Smith is a lead blog writer, blogger & content marketer, he publishes and manages the contents of many blogs. Edwin writes about lifestyle, technology, travel, health and more. He has been in the marketing industry for 5 years and with a very valuable experience in this industry, He has marked his footprints as a renowned guest blogger in Delhi. Next7 Useful Tips to Save Indoor Space!